Who doesn’t love a burger? That’s right, no one. Here at JAQKs, we pride ourselves on our burgers, whether it’s the finest chicken breast or our great range of veggie options and we make sure only the freshest ingredients are used so you can get your burger game on. We make all of our own coatings, using only the freshest herbs and spices to make our burgers the best in the pack. 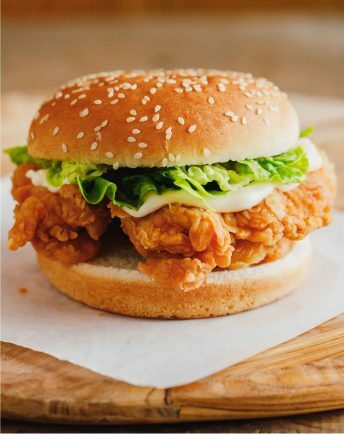 Fresh fillet of chicken topped with lettuce, mayo, cheese and two boneless strips for all of your chicken needs. 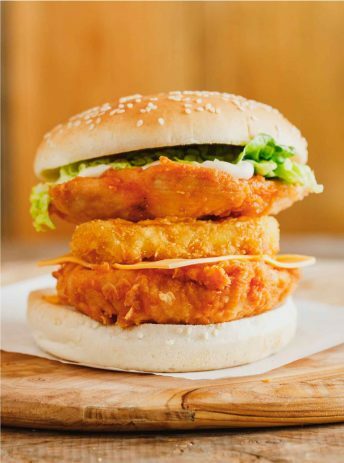 Fresh fillet of chicken coated in either our homemade original or hot n spicy herbs and topped with cheese, lettuce, hash brown and mayo. Only for those with a big appetite. 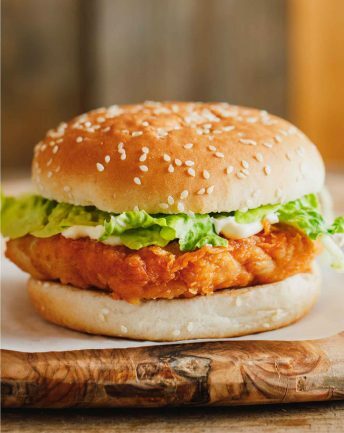 Two strips of the freshest fried chicken, coated in either our original or hot n spicy flavour, topped with lettuce and mayo. For those who don’t want the carbs. 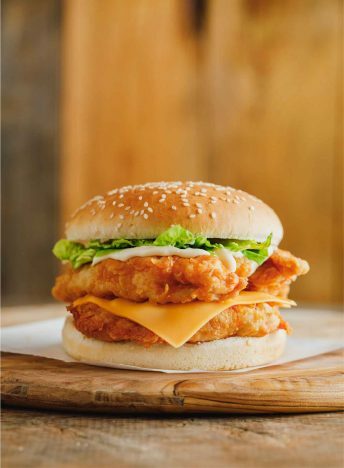 Two fresh fillets of chicken, served in a choice of either original or hot n spicy flavour with cheese, lettuce and mayo. 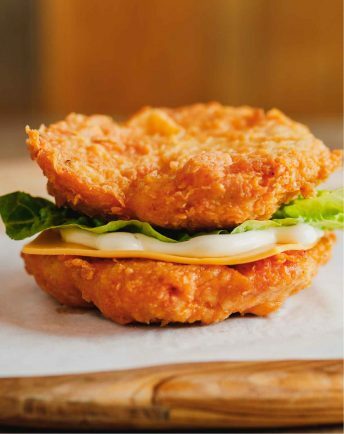 A choice of either our homemade original or hot n spicy flavour coated chicken fillet, served with lettuce and mayo. 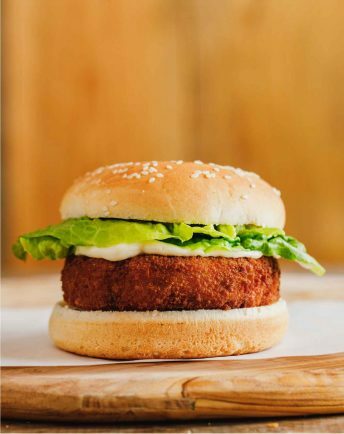 Home made, mixed veg patty with our special coating of herbs and spices, served with lettuce and mayo.